Size: approx. 15 mm. Photo: 07/02/14, 8 pm. Another scarab beetle. 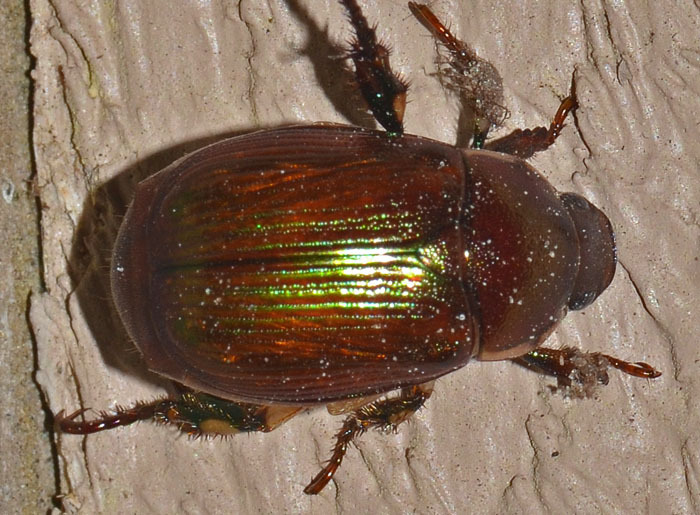 This species has a characteristic greenish sheen. 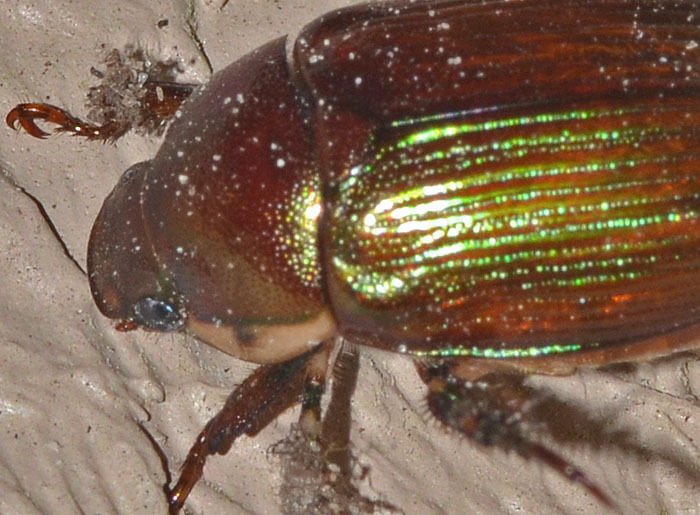 The head and the pronotum are darker. Notice the paler sides of the pronotum.